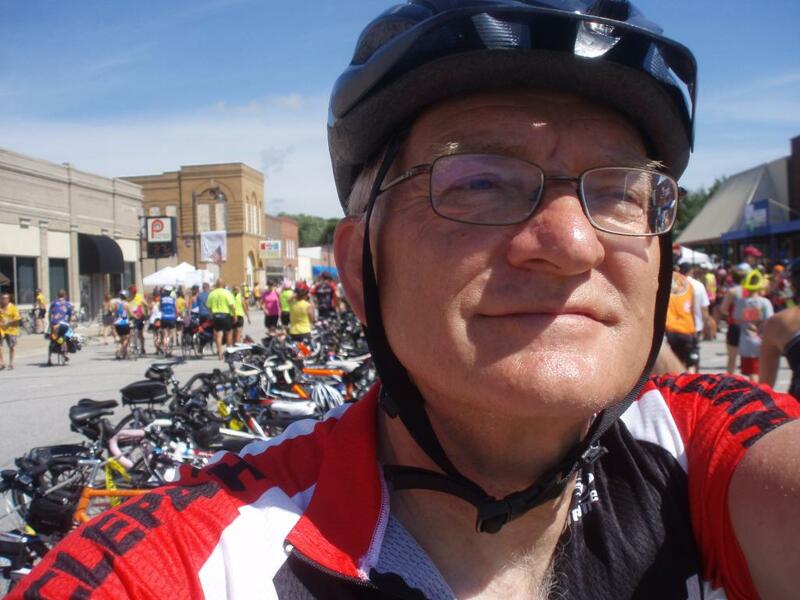 Every year the Des Moines Register sponsors Ragbrai, a bicycle ride across Iowa. It has become very popular and so they restrict the number or riders to 10,000 each day. 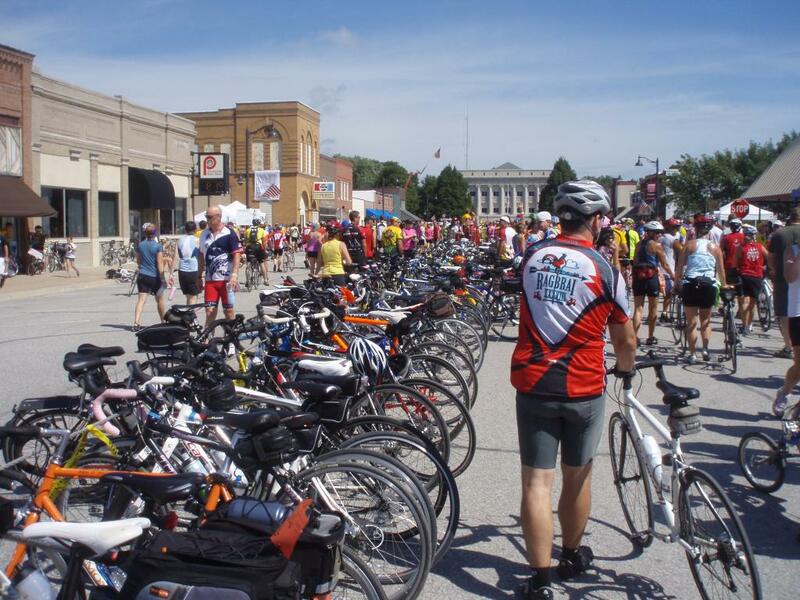 However, a large number of riders join in without registering and so it is estimated that there are 20,000 riders on the road each day. 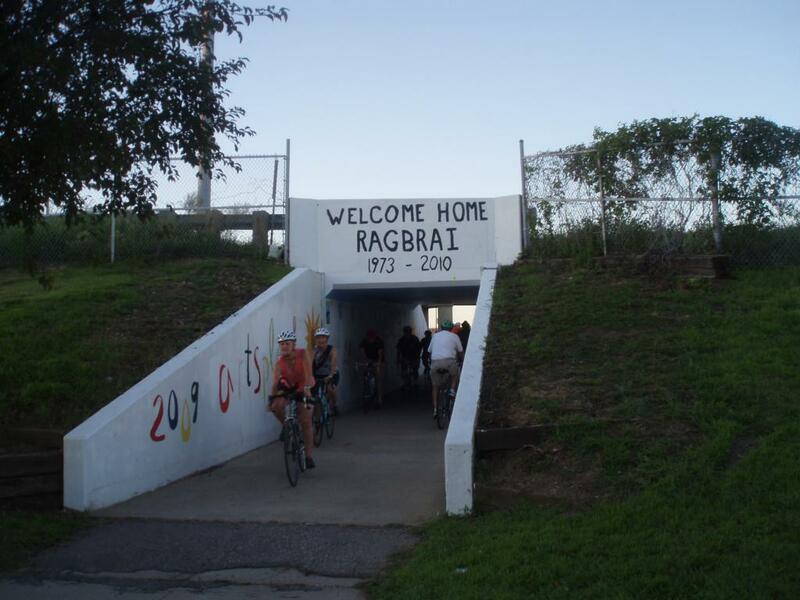 I rode Ragbrai in July of 2010. A bicycle underpass in Sioux City Iowa. 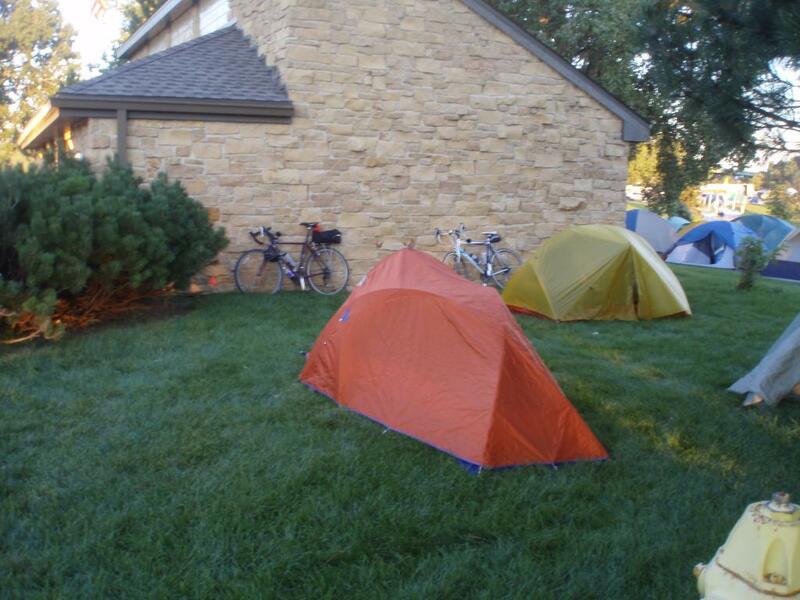 My orange MEC tent and bicycle, they served me well. It was 6:00 am. The official riding time each day was 6:00 am to 6:00 pm each day. However,I think quite a few cycled before and after the 6:00 o'clock times. 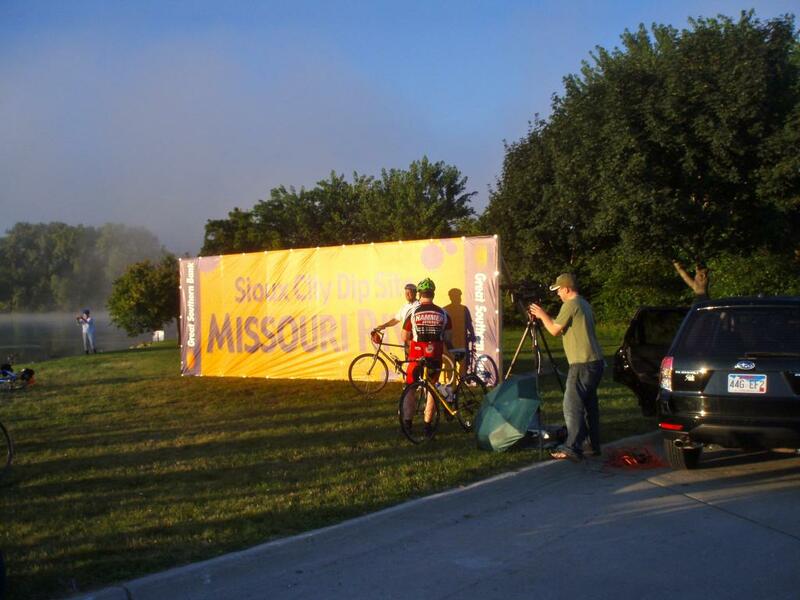 The official start with a tire dip in the Missouri. What you see on a pit stop on the road in Iowa. 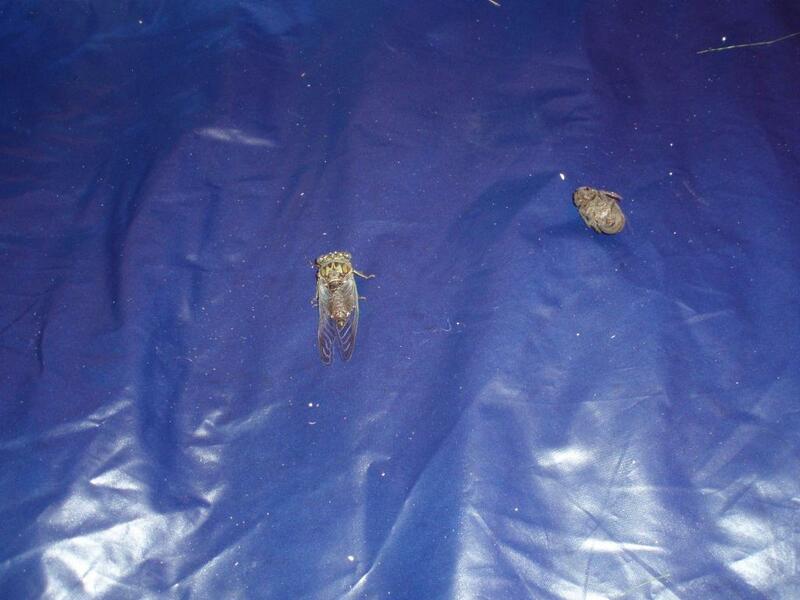 The second night I had a cicada molt in my tent. In the morning, as I packed up my tent I found the insect. I used a twig to transfer it to a tree and tossed out the old skin. I wish now I would have saved it. It was amazing to see so many bicycles and cyclists in one spot. 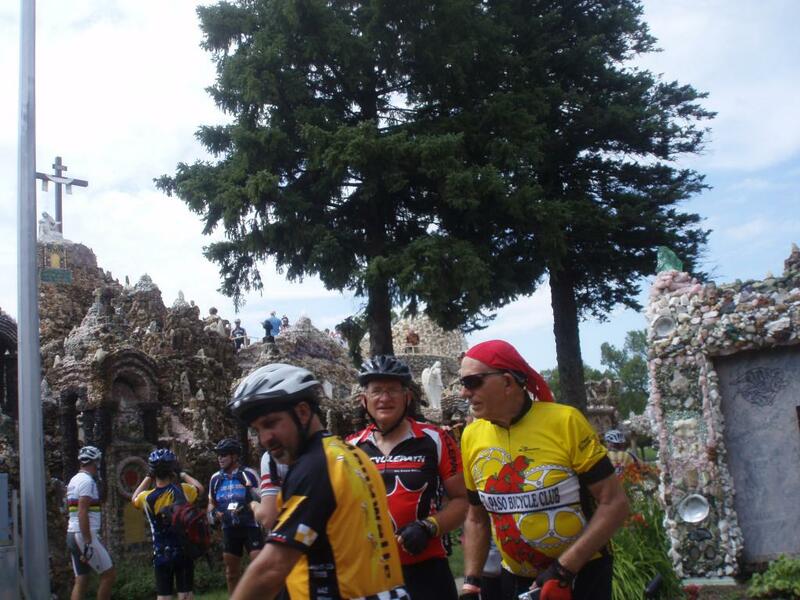 The towns we went through were set up to entertain and feed cyclists. Often there were so many people that you had to get off your bike and walk it through the town. 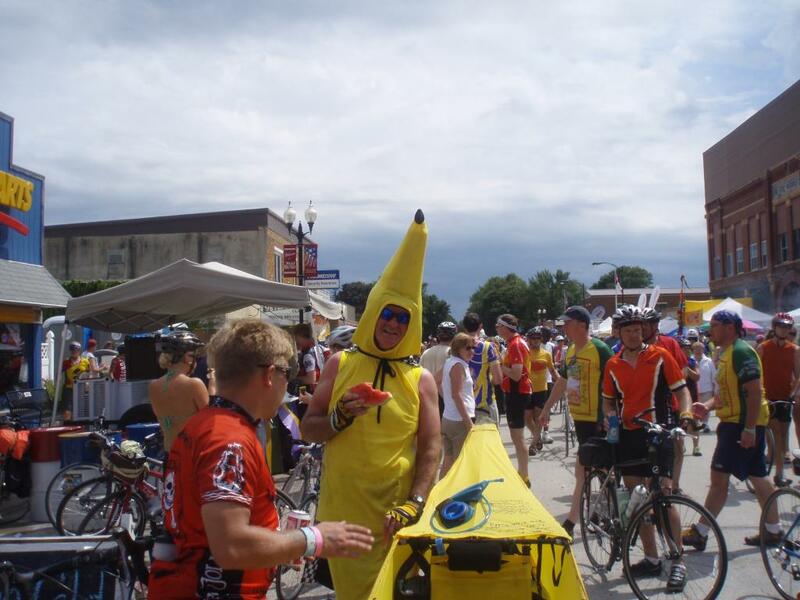 This guy and his recumbent bicycle were both dressed up as bananas. 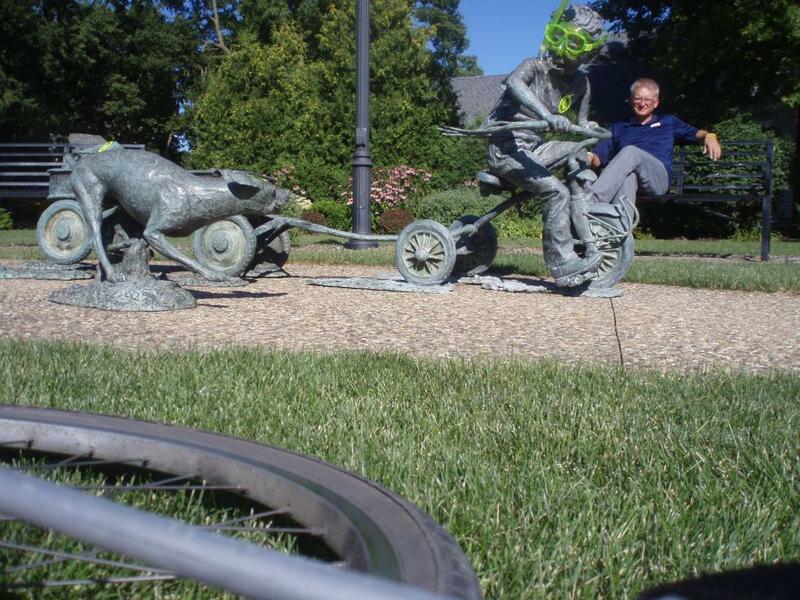 Beside being a bicycle ride Ragbrai was also something like an old fashioned Halloween parade. 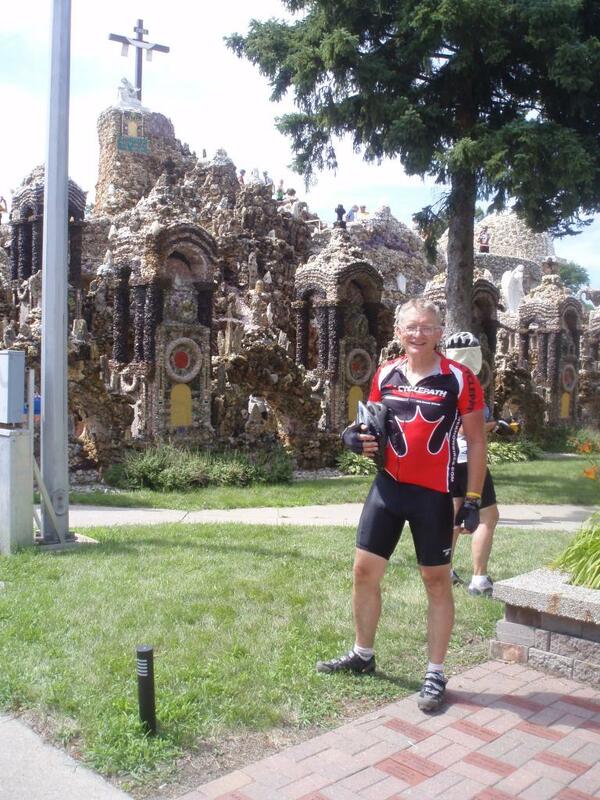 West Bend, Iowa the Grotto. I was taking a picture of myself with the timer function on my camera. These two guys walk in front of me just as the picture was being taken. Another cyclist saw what had just happened and so she offered to take a picture of me. 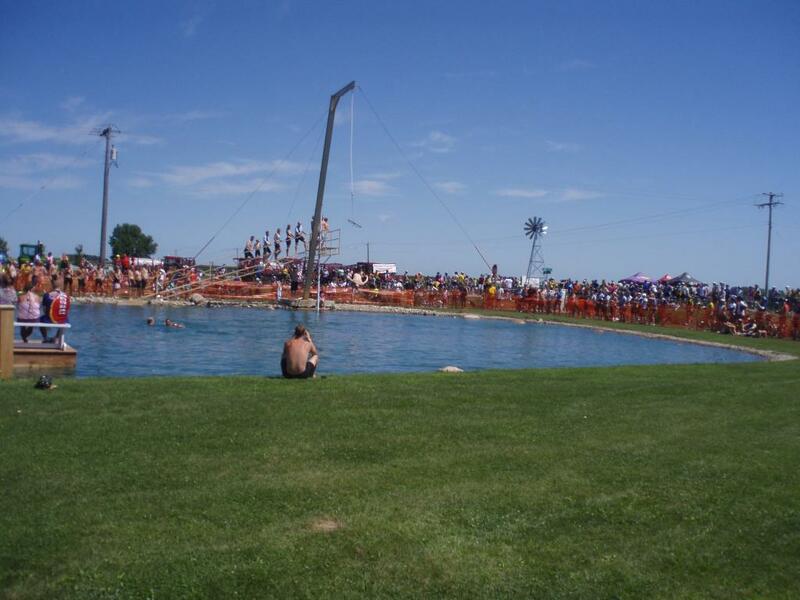 People paid $5.00 and stood in line to be able to swing out and drop into the pond. 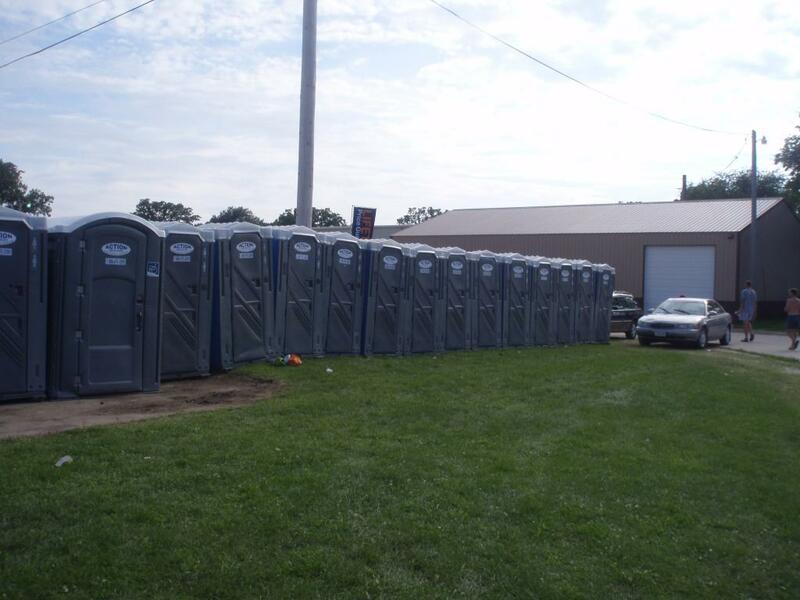 This was the type of thing you see along the Ragbrai route. 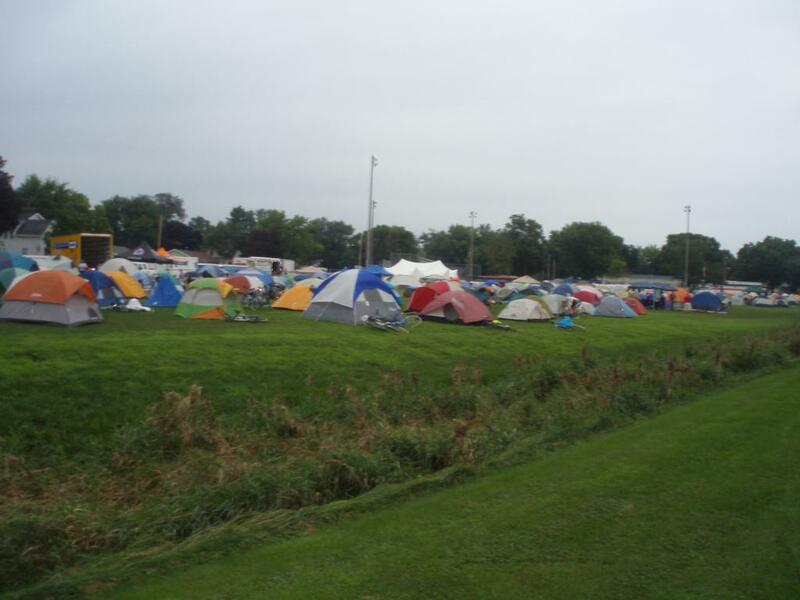 Every town was covered in tents. It is hard to imagine if you have not seen them. 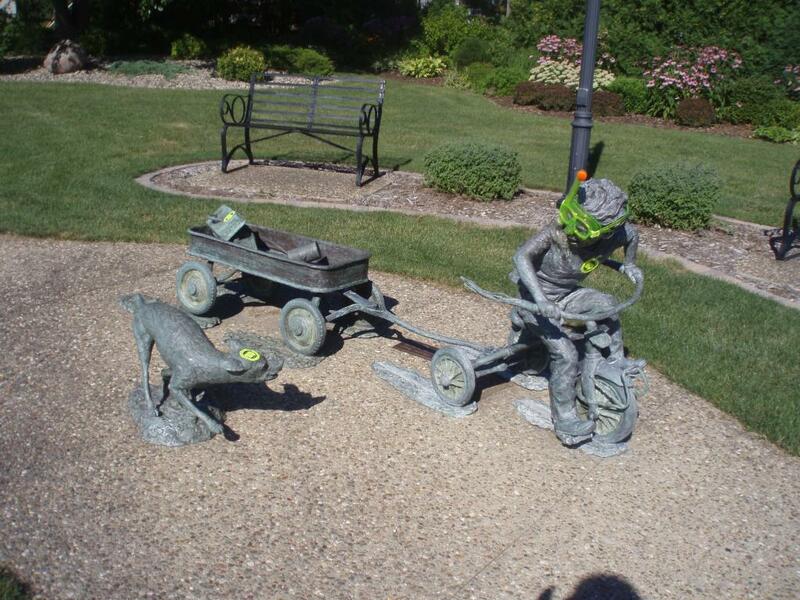 The towns in Iowa seem to have a lot of art in public places. I liked this one in Charles City. I think all cyclists dread a dog encounter. This one made me smile. I put my camera on my bike to take this picture. 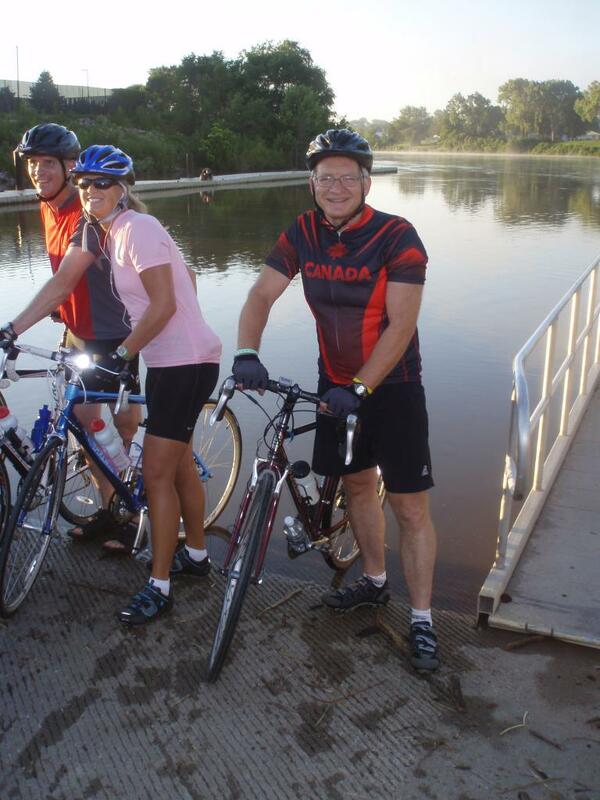 Part way through the Ragbrai week I started to change into long pants and a shirt after the days ride. I had had enough sun by that time. Kybos a welcome sight in every Ragbrai town. I asked a guy what kybos stands for. (Keep your bowels open) .